State Highway 6 near Fox Glacier. Line of power poles and power lines. 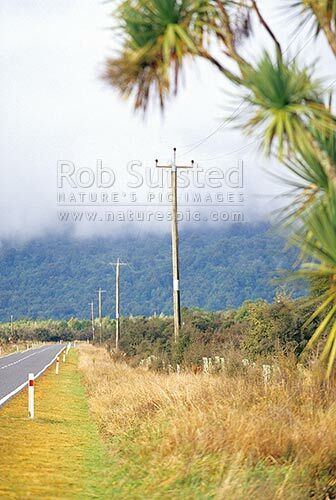 Native forest in cloud, Fox Glacier, Westland District, West Coast Region, New Zealand (NZ), stock photo.